Hello! I am back with Day 9 of 30 Days of Q&A. The question that I am going to be answering this time is how can I avoid the feeling “out of the loop” when I return to work? 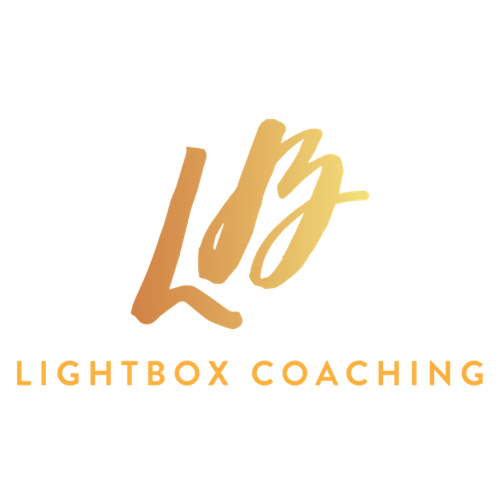 For those of you that are joining me for the first time, my name is Janine Esbrand and I am the founder of LightBOX Coaching where I help women to return to work with confidence and build careers that they love after having their babies. So today I am going to talk about how you avoid feeling like you are completely out of the loop when you return to work. If you have been out of work for some time and you have been on maternity leave and you are going back into work, it can feel as though everything has been continuing while you have been away in terms of your organisation and team. You are out of the loop and you don’t know what has been going on. I am just going to share with you a couple of things that you can do while you are still on maternity leave that can set you up so that when you go back into work you will feel that you are still part of the team and you can hit the ground running when you go back. The first thing you want to do is to take advantage of your keeping in touch days. Most organisations will have some kind of structured arrangement around keeping in touch days where over the period of your maternity leave you can be going into the office and attending training that is going on within your department. You can be going and doing a little bit of work so that you can keep yourself up to date with what is been going on. Be proactive about scheduling your keep in touch days. Speak to your team and supervisor about when is the best time for you to come in so you can get the most value out of those keeping in touch days. That is one thing you want to do. The other thing which is the big thing and really simple, but a lot of people don’t do this is to schedule sometime with your team members. Pick one of your colleagues who you get on well with or maybe your immediate manager – it probably makes sense to do it three months or less before you are going back to work. Just go out with them for lunch or have a quick meeting with them when you can pick their brains on what is going on. You want to find out what projects they are working on, what are the current goals and targets within the team, what has been going on that will be good for you to know about. These are really opportunities to tap them up and get in the know about the current lay of the land or what currently people are facing within your team or organisation because that is going to prepare you and allow you to go in knowing what to expect. If you can just go in there and know what to expect, you are going to feel far more confident, ready and less out of the loop. I would definitely suggest that you just look for an opportunity. Email or call somebody within your team and say look, before I come back, can we have some time to have lunch, coffee or meeting just so you can get all the information that you need so you can go back feeling good and ready to return. So just be proactive with the keeping in touch days and meeting with somebody in your team. That is going to help you to not feel like you are completely out of the loop and just all about baby brain in that fog of nursery rhymes and play date schedules. But once you are in the mindset of okay I am going back to work then trying to get into learning more about what is in your organisation so that is going to help you have a much needed transition. You may want to download my Smooth Return Roadmap, which is a 7-step guide for you if you are in the stage of preparing to go back to work. It just takes you through things that you can be doing that is going to help you to have a smooth transition back to work. If you know any friends who are preparing for a transition back to work, then do share this video to them and tell them about the series. We’ve got another 20 days to go where I am answering questions all related to careers and returning to work, transition and even launching my business. Do also come and join me in my private Facebook group, Careers Beyond Motherhood community, where we can continue this conversation. If you have any questions about this topic, you can connect with some other like-minded awesome Mums who are committed to growing and building their careers beyond motherhood.